New York is the premier center of global finance and entertainment. Here you will find the Statue of Liberty, Freedom Tower, Wall Street, Rockefeller Center, Central Park, and many other attractions in Manhattan. Enjoy the "city that never sleeps." New York is the center of the NY Metropolitan area, surrounded by Queens, Brooklyn, The Bronx, and Staten Island. We've helped many people with therapy, health and wellness in New York and elsewhere in the Empire State. 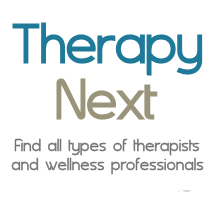 Therapists in Brooklyn NY, Queens NY, Astoria NY, Harlem, Gramercy NY, Financial District NY, Inwood NY, Long Island City NY, Upper East Side NY, Upper West Side NY, East Village NY, Greenwich Village NY, Tribeca, Soho.